Itranslator, developed by Swami Satchidananda, converts ITX encoded files to Transliteration and Devanagari and is best suited for the conversion of ancient Classical and Vedic Sanskrit texts. With some technical restrictions, Itranslator can also be used for the conversion of modern Hindi/Marathi/Nepali texts. - The Itranslator programs are downloadable from the above Omkarananda Ashram website. - The Technical Manuals to the Itranslator programs are downloadable from this website. Itranslator 99 (new version 1.3.0.86, September 2004), designed for classical non-OpenType TrueType fonts (and also for PostScript Type 1 fonts), is available since October 2002 (revisions of Itranslator 99 were published in January and May 2003 and in September 2004). Itranslator 99 was designed with the greatest program compatibility in mind. Itranslator 99 works with almost any old and new versions of Windows (e.g. Windows 95, Windows 98, Windows ME, Windows 2000, Windows XP, etc.) and almost any old and new versions of Word Processors (e.g. Word 6.0, Word 97, Word XP, Word 2003 etc.). For more details see the "Technical Manual of Itranslator 99", downloadable as ITmanual99.pdf. See also the Addendum. Note: The old Itranslator 98 published in 1998 should not be used any longer. It is incompatible with Windows XP and was replaced by the new Itranslator 99 published in 2002. However, there still exist many Sanskrit texts encoded with old Itranslator 98 fonts. Itranslator 2003 (new version 2.0.0.38, September 2004), designed for modern OpenType TrueType fonts, is available since 15th December 2003 (revisions of Itranslator 2003 were published in January and September 2004). Itranslator 2003 is compatible only with Windows XP, Windows Server 2003, and Windows 2000 with international language support, and only compatible with Word XP (Word 2002/2003) and other Uniscribe-compliant word processors. This means that Itranslator 2003 does not work with older versions of Windows, nor does not work with older versions of Word. For more details on compatibility issues see the "Technical Manual of Itranslator 2003", downloadable as ITmanual2003.pdf. See also the Addendum. The font company URW++ Design & Development GmbH, Hamburg, and the world-famous typographer Prof. Hermann Zapf, Darmstadt, generously donated Prof. Zapf's font URW Palladio to Ulrich Stiehl, Heidelberg, granting him permission to adapt and to add diacritical characters not contained in Prof. Zapf's original URW Palladio and to offer specialized URW Palladio diacritics fonts to Indologists free of charge. All Latin diacritics fonts of Itranslator are based on URW Palladio. The ITX encoding as well as the fonts URW Palladio IT and Sanskrit 99 are described in every detail my comprehensive "Technical Manual of Itranslator 99", downloadable as ITmanual99.pdf. The transliteration font URW Palladio IT comes in 4 styles - Roman, Italic, Bold and Bold Italic. Yellow: Sanskrit diacritics in lowercase and uppercase. NB: Itranslator uses lowercase letters only. Cyan: Vedic accents: Floating accents, used as deadkey accents and placed on the preceding letter. Green: Additional diacritics required for transliteration of Hindi/Marathi according to ISO 15919. The TrueType font URW Palladio IT is contained in the enhanced build 1.3.0.72 of Itranslator 99. The PostScript Type 1 font URW-PalladioIT updated 24th April 2003 is downloadable as PaITps.zip. Note: The Unicode version of URW Palladio IT is available as URW Palladio ITU (see below). The old Itranslator 98 (replaced by the new Itranslator 99) should not be used any longer for creating new text files, but its old fonts are still required for viewing a large number of already existing Sanskrit texts encoded in Itranslator 98 fonts. A new version of the old transliteration font in Palladio design was made in May 2004 to enable mixing of already existing Itranslator 98 files with newly generated Itranslator 99 files.  For this purpose, you must replace "Translit98" by "URW Palladio IT98". The TrueType font is downloadable as PaIT98ttx.zip, the PostScript font is downloadable as PaIT98psx.zip. and it was extended in December 2003 to cover the additional diacritics of modern Indic languages. Note 1: The December 2003 version of URW Palladio ITU is supplied with the new "Itranslator 2003". Note 2: A minor correction concerning the spacing of "danda" (decimal 124) was made in January 2007. Note 3: Compare URW Palladio ITU with URW Palladio IT (see above). The Unicode transliteration font URW Palladio ITU was made more than 10 years ago as a companion to the Devanagari Unicode font Sanskrit 2003. At that time, Unicode fonts containing diacritical letters for Sanskrit were rarities. Today, there are several general-purpose fonts containing diacritics for Sanskrit, but only for Classical Sanskrit as opposed to Vedic Sanskrit. One of these fonts containing diacritics for Classical Sanskrit and available for free is the font Source Sans Pro made by Paul D. Hunt for Adobe Adobe Systems Inc. freely downloadable at various websites. The version 1.033 (August 2012) contains the Indic diacritics shown in the document SourceSansPro.pdf. The fonts of the version 1.033 are downloadable as SourceSansPro_FontsOnly-1.033.zip. The files for font developers are downloadable as SourceSansPro_SourceFiles-1.033.zip. The former font "Sanskrit 98" has been replaced by the new font "Sanskrit 99", which is compatible with Adobe Standard Encoding fonts and allows for flush-right composition of Sanskrit prose texts by using code #173 as soft hyphen and code #45 as hard hyphen as required by Windows word processing programs. The TrueType font "Sanskrit 99" is contained in the new release of Itranslator 99. The PostScript Type 1 font "Sanskrit 99ps" is downloadable as Sans99ps.zip. This PostScript font Sanskrit 99ps automatically works under Windows XP which has built-in PS Type 1 font handling. Users of older versions of Windows such as Windows 1995/98 or Windows 3.1 will require the Adobe Type Manager. Please study the pros and cons in the manual Sans99c.pdf so that you can decide whether "Sanskrit 99c" meets your needs. A private font with the same encoding as the above font "Sanskrit 99 c" was made for me by Mr. Michail Bayaryn by adapting an old CDAC font not available to the general public. This private font is especially suited for typesetting classical Sanskrit texts in small point sizes. For technical details see the document Alpa99c.pdf (180 KB, 10 pages). The only Devanagari font so far for Itranslator 99 was our font Sanskrit 99. I am grateful to Mr. L.S.Tikhomirov for designing two additional fonts for Itranslator 99, firstly the historical font Gudakesa 99 being a replica of the anonymous font used by Bopp and Schlegel for the first Sanskrit editions printed in Europe and also used by Böhtlingk for his Petersburg dictionaries, and secondly the historical font Santipur 99 being a replica of a later and also anonymous font used in Germany (Leipzig, etc.) for typesetting Stenzler's and Geiger's Elementarbücher and Cappeller's Wörterbuch and many other books published since the middle of the 19th century. It was a pleasure for me to fund this font project by Mr. Lev Tikhomirov of Russia, and I trust that users of Itranslator 99 will be pleased to now have a choice among two new additional Devanagari fonts which are available as of September 2005. The documentation of these two fonts including historical specimens is downloadable as S99Fonts.pdf (1.4 MB, 24 pages). The two original TTF versions (1.0 resp. 1.2 of September 2005, hinted by Ulrich Stiehl and described in the above PDF file) of these two fonts Gudakesa99.ttf and Santipur99.ttf are downloadable as S99Fonts.zip. Note: The two later versions (2.4 of December 2005) of these two fonts, downloadable as S99Fonts24.zip, have some glyph improvements, but they are no longer fully compatible with Itranslator 99 and therefore should not be used by Itranslator 99 users. Please also visit the "Photos from India" site of Mr. Tikhomirov (also known as Lila) showing his beautiful photos of India. Note: Since Mr. Tikhomirov's website is defunct, the OpenType version SantipurOT.ttf compatible with Itranslator 2003 is now downloadable from my own website as SantipurOT.zip. The old Itranslator 98 (replaced by the new Itranslator 99) should not be used any longer for creating new text files, but its old fonts are required for viewing a large number of existing Sanskrit texts encoded in Itranslator 98 fonts. For instance the entire text of Valmiki Ramayana is available on the internet encoded in the old font "Sanskrit 98" (see http://www.valmikiramayan.net). Note: The old Itranslator 98 crashes, if run on new Windows XP, e.g. due to the hard/soft hyphen problem. For this reason you should use the new Itranslator 99 which runs on any old and new versions of Windows. However, the old "Sanskrit 98" font can be viewed on both Windows 95/98/2000 and also on Windows XP. The TrueType font is downloadable as Sans98.zip, the PostScript font is downloadable as Sanspost.zip. The OpenType font "Sanskrit 2003", enhanced in September 2005, is primarily designed for the ITX converter "Itranslator 2003", but this font can also be used as a stand-alone font, e.g. as replacement of the Windows 2000/XP "Mangal" system font. Cave! The OpenType font "Sanskrit 2003" necessarily requires Windows XP (or at least Windows 2000 with enabled "International Support", i.e. Uniscribe OpenType support for Indic fonts). Therefore "Sanskrit 2003" does not work with Windows 95 nor with Windows 98 nor with Windows ME, etc. "Sanskrit 2003" is the first font in the history of Devanagari typography containing all attested ligatures of Vedic and Classical Sanskrit. Furthermore this font also includes the ligatures not used in Sanskrit, but used in Hindi and Marathi. The font "Sanskrit 2003", also separately downloadable from here as Sans2003.zip (version 1.1, September 2005) - and as the most recent version downloadable from here as Sanskrit2003.zip (version 1.3, October 2014) - is automatically installed with the program package "Itranslator 2003" (re-packaged installer consisting of the old program version 2.0.0.38 of September 2004 and the new font version of September 2005 and downloadable at the Itranslator 2003 website). Note: If Itranslator 2003 is already installed on your computer, then only install the new font version 1.1 of September 2005, as explained in the Readme included with Sans2003.zip. The program "Itranslator 2003", the Devanagari font "Sanskrit 2003", the transliteration font "URW Palladio ITU" and other topics concerning OpenType Devanagari fonts are described in every detail in my comprehensive "Technical Manual of Itranslator 2003", for the first time published on 15th December 2003, and later revised on 1st February 2004, on 25th February 2004, and on 27th September 2005. The Itranslator 2003 manual comprises 133 pages and is downloadable as ITmanual2003.pdf (2 MB). The latest version of the manual informs about the update of "Sanskrit 2003" and also describes the entirely new font "Chandas", see below. For "Orthographic Syllables of Sanskrit 2003" see also the document Ortho2003.pdf (380 KB). Please read also the separate document Addendum (140 KB) to "Technical Manual of Itranslator 2003" describing the new "Combined Conversion" feature of the Itranslator 2003 program. - An excellent typesetting specimen of "Sanskrit 2003" is the large-print edition of the Bhagavadgita which is downloadable here. - Another typesetting specimen ("Nala story") with ITX file for Itranslator 2003 and TXT file for Word XP is downloadable here. - A short web browser font test for HTML files containing Unicode fonts for Sanskrit is here. What you should see is shown here. Note: For the Itranslator 2003 compatible OpenType font SantipurOT see above. This new OpenType font "Chandas" is primarily designed for the ITX converter "Itranslator 2003", but this font can also be used as a stand-alone font, e.g. as replacement of the Windows 2000/XP "Mangal" system font. Cave! The OpenType font "Chandas" necessarily requires Windows XP (or at least Windows 2000 with enabled "International Support", i.e. Uniscribe OpenType support for Indic fonts). Therefore "Chandas" does not work with Windows 95 nor with Windows 98 nor with Windows ME, etc. Please read our updated Itranslator 2003 Manual containing more details about typesetting Vedic texts with "Sanskrit 2003" and "Chandas". It was a pleasure for me to fund this "Chandas" font project by Mr. Mihail Bayaryn of Belarus, and I trust that users of Itranslator 2003 will be pleased to now have a choice among two different full-fledged Unicode fonts comprising all attested ligatures required for high-quality professional typesetting of Classical and Vedic Sanskrit texts. There are two versions: Chandas.ttf and Uttara.ttf. These fonts and additional files (keyboard layout etc.) are downloadable at our special subsite here. The OpenType font "Siddhanta.ttf" - downloadable as Siddhanta.zip - is the Unicode 6.0 replacement font for the old fonts "Chandas.ttf" and "Uttara.ttf". "The work on the new font took three years. The font can be used for Sanskrit, Vedic, Hindi, Nepali and other languages which use the Devanagari script. Siddhanta supports Unicode 6.0 standard and is compatible with Itranslator 2003 and partly compatible with Chandas font." For a comprehensive typesetting specimen see the file Gospel of St. John in Sanskrit (845 KB, 179 pages). For further information please visit the website Svayambhava. In 1991, James E. Agenbroad published his collection "Difficult characters: A collection of Devanagari conjunct consonants and consonant + vowel matra combinations". Agenbroad's collection is a compilation of 1018 combinations (mainly conjunct consonants and a few matra combinations) quoted from various other books. Yet, more than 300 of the approx. 1000 conjunct consonants, i.e. roughly 30% of the collection by Agenbroad, are entirely fictitious. These hundreds of conjunct consonants were invented by modern Sanskritists such as Wilson, Monier-Williams, Gonda, Lambert, etc. etc. in the same strange and unscientific manner as ancient Sanskritists such as Panini invented hundreds of verbal roots. Example: Charles Wilkins (1808), Alix Desgranges (1845), M.R. Kale (1894), Richard Fick (1922), A.A. MacDonell (1926), H.M. Lambert (1953), Michael Coulson (1973) and Madhav M. Deshpande (1997) invented the conjunct consonant "bn". If "bn" were no invention, then a Sanskrit word would exist containing "bn". But there does not exist any such Sanskrit word. Therefore "bn" has been invented. Yet "bn" could occur in a foreign-language word, e.g. in "abnormal", inserted into Neo-Sanskrit texts. But serious scientific research on Sanskrit conjunct consonants must dismiss such "abnormalities". 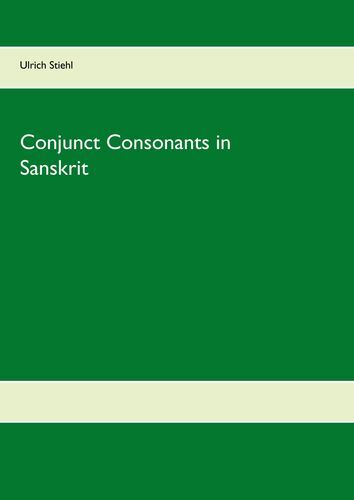 The book Conjunct Consonants in Sanskrit (see Preview) is the first scientific treatise which does not invent conjunct consonants, but proves which conjunct consonants really occur in original Sanskrit texts. This scholarly treatise designed for linguists and typographers contains comprehensive statistics of conjunct consonants of the Sanskrit language, sorted by alphabet and by frequency with quotations from original Sanskrit texts. Based on these statistics, font designers can decide which ligatures they should include into their Devanagari fonts for typesetting Sanskrit texts.